The United States Department of Agriculture estimates that the trucking industry carries 70 percent of agricultural and food products across the highways and back roads of the United States. That’s a lot of livestock being transported across the country, in addition to crops and food. According to the FMCSA, there are about 250,000 drivers in the U.S. who haul livestock. These drivers are a special breed of commercial truckers. They choose to transport living, breathing cargo for a variety of reasons. Many of these drivers who haul cattle, chickens and other animals watched other family members do the same job when they were young. Many grew up on farms with animals and have a love for livestock and the experience in handling them. Others like the idea of a trucking job that helps feed America and ensures that farms and other outlets have the animals necessary to keep operations moving. Transportation of livestock requires the extra work and an added pressure of managing live animals. The objective is to ensure animals reach a destination alive and healthy within a prescribed time frame. A driver must check on this particular cargo frequently and take certain precautions throughout the trip on the road. 1. Requirements. Operators who want to accept a truck driving job that involve living animals are required to hold a Class A Commercial Driver’s License There are some specific guidelines and certifications that should be acquired, as well.For example, the Transport Quality Assurance certification is appropriate for swine transporters, producers and handlers to show they understand how to handle, move and transport pigs. There are other certifications and endorsements required for transporting cattle, sheep, and various livestock as well. 2. Experience. In addition to the CDL, livestock truckers also need to be familiar with the animals they are hauling. Drivers must know how to herd livestock and be willing to make the welfare of the livestock their highest priority. Hauling animals takes extreme care and education regarding their well-being. Many proactive drivers have some background in farming and care for livestock or work alongside farmers to understand how to care for them. 3. The Road. Livestock haulers may spend more time outdoors exposed to environmental conditions than other drivers, especially while loading or unloading livestock. They are also more likely to be traveling on rural roads and experience noise and vibration levels that may be higher than those typically experienced when transporting other types of freight. Take rural and uneven roads with extreme caution to keep the cargo safe. 4. Customers. You will likely work with a lot of ranch owners and companies run by people who have spent generations in the livestock industry. It helps to understand their needs and “language.” Ranchers and farmers are very protective of their cattle and other livestock. Remember, your cargo is their livelihood. Think of the act of hauling livestock as taking care of their extended family. Always act in a safe, courteous, and professional manner in order to understand the viewpoint of the supplier. 5. Location. Livestock transportation is among most popular type of freight in certain states. According to U.S. Department of Agriculture, Texas had the most cattle in the country, followed by Nebraska, with Rhode Island having the lowest amount of cattle.If this is going to become your primary source of income, then you’ll want to select a location that offers an abundance of job opportunities. Of course, there may be livestock transportation opportunities in many states. 6. The Regulations. Animal health should always be at the forefront of the driver’s mind.Each individual state sets the health requirements which must be met by animals coming into their state. The major purpose is to safeguard the health of animal populations. These state requirements are subject to periodic changes, so it is important to stay on top of the rules and regulations. Drivers should always be aware of biosecurity guidelines (protecting a population from infectious diseases) and the associated handling requirements. Many people think just about cattle or chickens when they think of livestock hauling. However, there are several opportunities in hauling live animals. Everything from hogs and poultry to horses can, and need, to be hauled. Some are considered “high-value animals” due to their training and worth. Examples of high-value animals include police and service dogs, bucking bulls, show/breeding cattle and on occasion, ostriches. 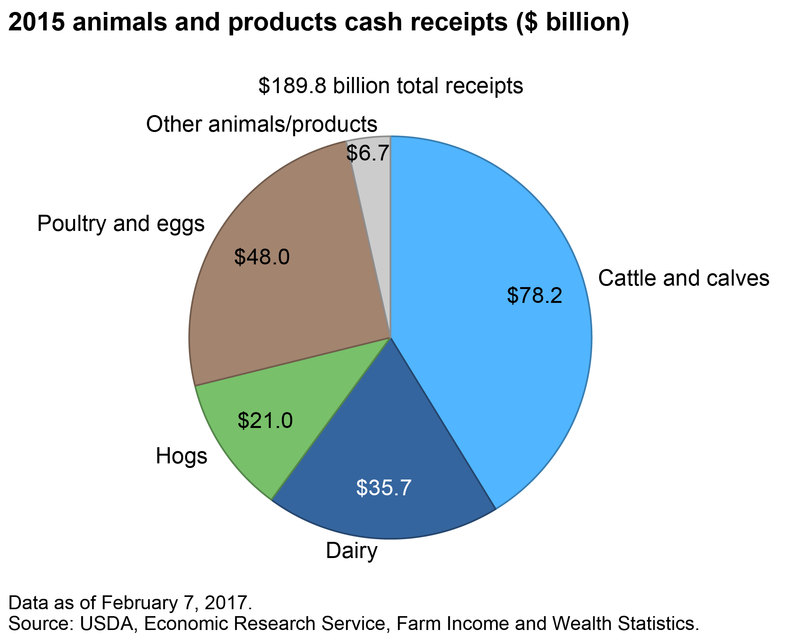 Those in California will likely be transporting more cattle and calves than sheep, though some special opportunities in the state may arise. Single Deck semis are lighter weight, allowing for some fuel savings. Many models have side loading options and there should always be adequate air vents. Multi Deck trailers double the efficiency of livestock transport and provide added payload capacity. Livestock on both decks must be secure walking on the floor and are usually loaded through a rear door. With today's modern, taller cattle, it is essential that these semi-trailers have sufficient height between decks to prevent back injuries. Gooseneck trailers slide over a ball hitch in the bed of a truck. The biggest advantage of a gooseneck trailer is its stability. Gooseneck trailers also have a tighter turn radius that helps ease any harm animals may see when a trailer takes a tight turn. Whatever setup a driver decides upon, it is important never to overload the truck as it can increase bruising or injury to the livestock. To comply with environmental regulations, truck floors should be leak-proof to prevent waste and manure from dripping onto the highway. The loading and unloading process should be performed gently and at an unhurried pace with as little noise as possible. Falling to do so may create a serious problem that can occur during loading and unloading animals, so creating a calm atmosphere is necessary. Most livestock is easier to load into a trailer that’s light inside rather than a trailer that is dark. Ideally, loading animals is completed early in the morning so there is no chance of inducing hyperthermia. Airflow into a trailer is of supreme importance to assure the livestock stays comfortable throughout the trip. Transport vehicles should never be totally enclosed, as lack of ventilation will cause undue stress and even suffocation. When starting a route containing live cargo, experienced truckers say the first hour on the road is the most critical. This is the time that the animals get used to the container and begin to find their balance. Many livestock operators choose a trailer with cushioned flooring that makes it more comfortable for the animals to stand on, provides secure footing to avoid slipping, and is easy to clean. Time on the road is also important and should be kept to a minimum. Research revealed that any problems with sickness or injuries increased significantly after 25 to 28 hours of travel time. In the US, most live animals can be transported commercially for up to 28 hours according to the federal 28-hour law. Livestock should always be transported in a vehicle that offers protection from the sun. If an animal does not go to feed immediately after unloading and it wants to lie down, that indicates that the animal is very fatigued. Drivers of livestock must know their precise route and check on any road conditions in advance to avoid unexpected delays. They should also know where they can pull off if needed and have a plan in place in case of an emergency. The transportation of live cargo has its own dangers and hazards. The following are three of the most perilous. Escaped Livestock - If your trailer is not properly loaded or if it tips over during an accident your livestock may escape and cause other accidents on the road. Finding and reloading the animals can be a big and costly challenge. Death or Injury – From severe weather conditions (extreme heat and cold) to issues during loading and unloading, a variety of things can happen while hauling a load that can result in the mortality or injuries to the livestock. Wind chill can kill livestock and high humidity can be detrimental to an animal’s well-being. Deck Collapse – Livestock trailers often have a second or upper deck that can fail and collapse under the weight of the animals and can lead to a devastating loss. Ensuring that one’s trailer is properly secured and stable is paramount to animal and driver safety. It is no wonder these specialized commercial motor vehicle operators are well paid well - they earn it! A driver’s experience level may be reflected in the condition in which animals are presented at their final destination. An experienced driver’s animals will appear happy and healthy – a driver with less time on the road may deliver animals who seem exhausted and unwell. Transporting live animals is much different that hauling any other type of cargo, and this extends to some of the DOT regulations. A waiver from the U.S. Department of Transportation's hours-of-service rule for transporters of livestock allows for some flexibility in hours of service for commercial truck drivers. The current Federal Motor Carrier Safety Administration regulations require commercial truck drivers to take a 30-minute rest break for every 8 hours of service following the 11 and 14 hour rule. For livestock transporters, this created a major obstacle as it would prohibit drivers from properly caring for animals during the rest period. Under this rule, the health and welfare of the livestock in the care of truck drivers would be at risk especially during months of inclement weather, with drivers unable to care for them because they are required to take a 30-minute break. In states like Florida, concerns of inclement weather may be more prevalent than other areas. 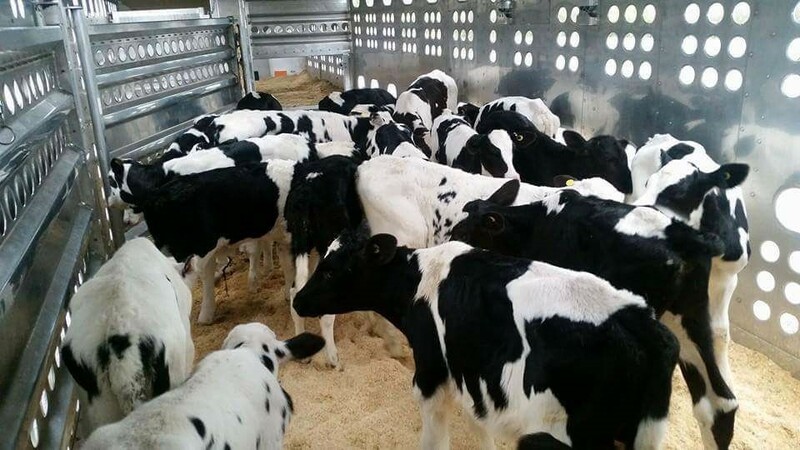 A two-year waiver of the 30-minute rest break during a driver’s first eight hours on the road was granted by the Department of Transportation and ensures humane treatment and welfare of livestock while traveling. Livestock drivers are often passionate about the job and realize the great deal of responsibility that comes with this specialized position. The salary for an experienced livestock trucker job is somewhat higher than the average driver makes, but is often reserved for those who have some demonstrable knowledge of the road. But if you are going to do it just for the money, experienced drivers will tell you that you probably won't last. Do it for the privilege and enjoyment of supplying the country with the livestock it needs for a multitude of purposes.